To the casual observer, it would be easy to assume that they are the ones who need me. They’re new here – foreigners from every corner of the globe learning the ways and words of a new land. Me? I’m the ‘native’, able to translate the words and explain the customs. I’ve spent years studying how to do this particular trade and even get paid to pass along this knowledge. I know the nooks and crannies of this crazy English language and play the role of a seasoned tour guide helping my students navigate the complex streets of grammar and spelling and pronunciation. Their resiliency, fortitude, humor, and kindness are teaching me just as much as I’m teaching them – probably more. Having just given up the place I call home, a budding career in academia, and cultural familiarity to relocate our family to the other side of the country, I’m starting completely over too. Each day as I walk them through the maze of the English language, they teach me how to walk through the maze of life. To some measure, it’s always hard to leave home. Even if home wasn’t a safe or wealthy or pleasant place, it was still home. Many fear for their loved ones left in their home countries, and they tell me this with quivering voices. Others mourn what their country has become – how evil prevails and goodness hides. Their sadness is real, and they make no attempt to pretend otherwise. We had an end-of-term party which I interpreted as wear jeans-and-a-t-shirt-casual-day. My students arrived decked out in sequins, heels and perfume, ready to dance the morning away. Many lack money, papers, family, jobs. They’ve lost family members, careers, homes. But these things slip away momentarily as they swing their hips, raise their arms, and kick up their heels to merengue or circle dance. Their joy is also real, and they make no attempt to pretend otherwise. It started with a package of paper cups, then a platter of sandwiches. 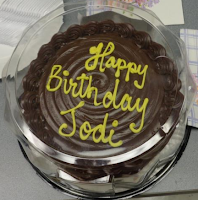 When another student walked in with a cake that read “Happy Birthday, Jodi”, I grew instantly grateful for the ‘secrets’ that Facebook tells. Still being fairly new to this place, I don’t have many friends to celebrate with, so we were planning a small family affair. I was ok with that, but what a grand surprise to have a party thrown for me when I thought I didn’t have enough ‘friends’ for that. Just because I’m their teacher, I’ve received Chinese candies, Venezuelan chocolates, beautiful necklaces, hand-crafted coin purses. Their kindness reminds me of our individuality, of our need to see others and to be seen, even in a city of 10 million people. I see you, I say in my mind each day as I stand before them. You are not invisible here. You matter. They’re the ones who taught me this first, I’m just sending it right back. We lost track of all sense for at least 3 minutes. It’s been a good long while since I’ve laughed that hard. With all of its questions and pontifications, academia left me with an overdose of seriousness, and all this fun is proving to be very healing for my soul. And now, you! I'd love to hear what you've learned from your students. What have they taught you about life? 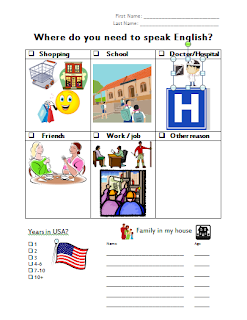 This is a cultural observation activity to encourage pre-service ESL teachers to reflect on the experience of their students. 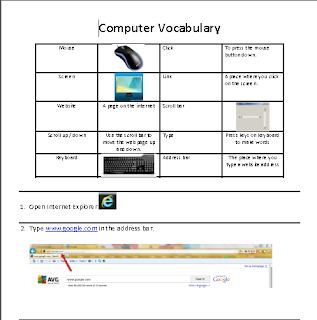 It could also be easily adapted for English language learners. Imagine you are a newcomer to the US. Pick a setting (such as your dorm, the DC, or a chapel service), and observe for 30 minutes with the eyes of someone who has little cultural context for this setting. Use the following table to help describe your observations. I'm currently teaching non-credit Adult ESL at a community college in California. This is a computer activity I created to accompany the Ventures Series (Cambridge) which shows beginning level EL students step-by-step how to access the website associated with the Ventures textbook. 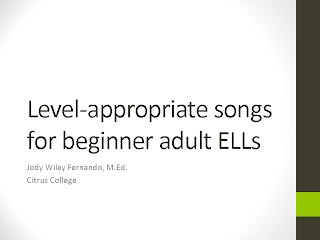 This is the PDF for a presentation on using level-appropriate songs for beginner adult English language learners that I gave at CATESOL's Regional Conference at University of Southern California on March 2, 2013. For best viewing and navigating results, download the file from Google Docs as a PDF and view with Adobe Acrobat Reader. 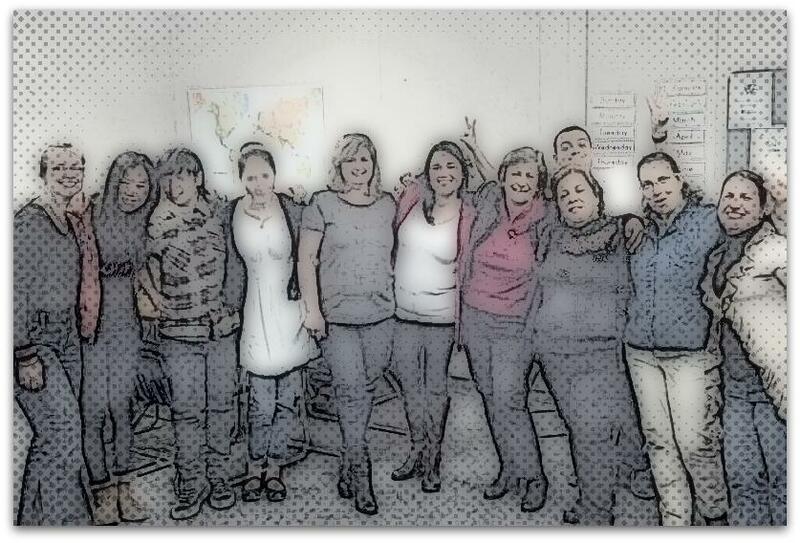 When teaching adults English, it's critical to teach what they need to know. With beginning level students, it can be difficult to uncover this desire because of limited language skills. 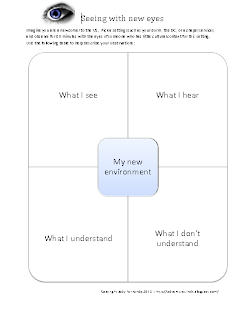 Use this visual survey to assess your beginning level adult students needs.